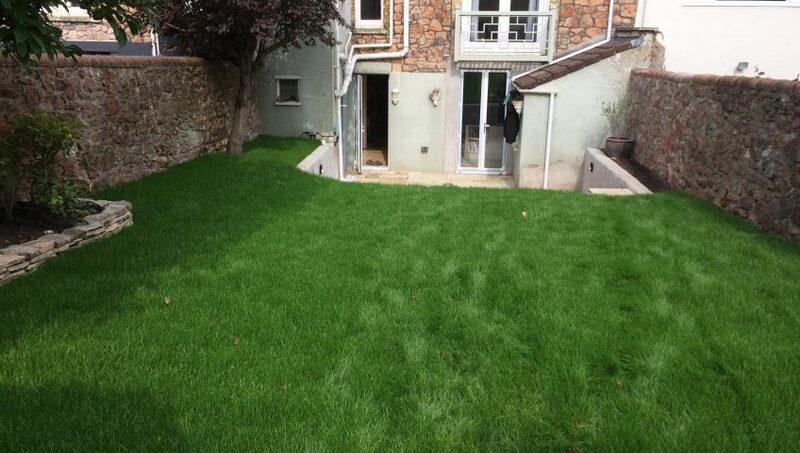 On arrival in this garden in Clifton it was instantly apparent the scale of works expected in this garden makeover. 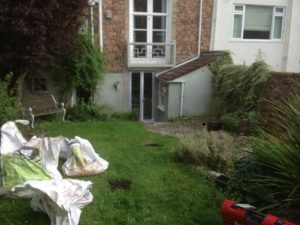 We removed several tonnes of soil, foliage, stumps, rubble and clay. 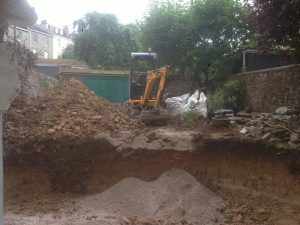 We then found some very questionable groundworks which were replaced. Retaining walls were built incorporating a new lighting system. 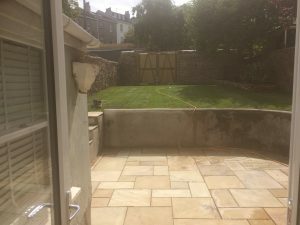 A render was put on to hide the blockwork. This would later be painted. 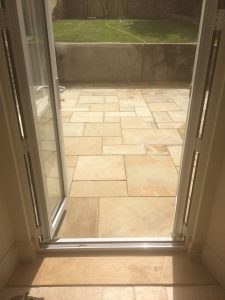 Paving was installed to match that of the inside flooring. 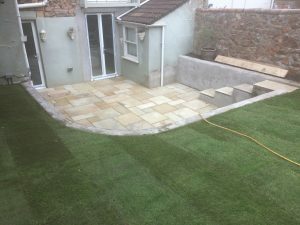 The end wall was completely held up by ivy so a new footing was poured and new stonework built incorporating a set of driveway gates for access. 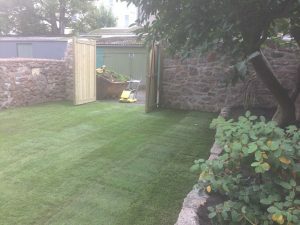 Several tonnes of blended loam were brought in to improve the quality of the soil and new medallion turf laid courtesy of Ray Coxs of Yate.